A year of the eighth generation PlayStation 4 and Xbox One consoles is almost to its end, but there are some issues that have followed the consoles right from the start, and have managed to come this far. One of the very serious issues that have troubled Microsoft’s Xbox One console is “resolution-gate,” and it is clear that the manufacturer hasn’t been able to resolve it. 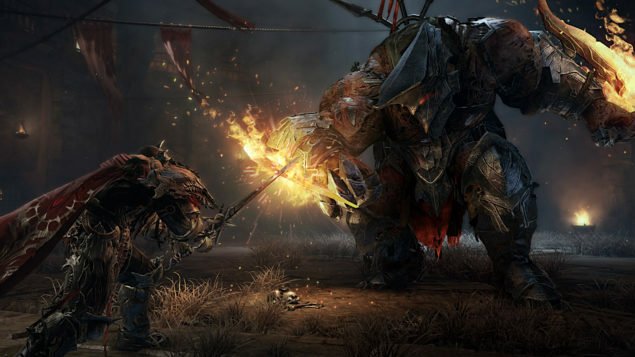 Fueling the fire once again, the developer of an upcoming highly anticipated hack and slash action role-playing video game title called Lords of the Fallen has revealed that the game runs at native 1080p resolution on the PlayStation 4, but same is not the case with the Xbox One. Even after one year of its life cycle, and developers’ improved optimization methods, Microsoft’s Xbox One console still suffers from the resolution-gate issues, which means that developers still find it difficult to hit full HD 1080p resolution mark with their games for the console. The latest addition to the list of the video games that run at lower resolution on Microsoft’s console is Lords of the Fallen, which is an upcoming major triple A action role-playing game that is being developed by Deck13 Interactive in collaboration with CI Games. Gop had already revealed earlier this year that the developer of the game had been trying its best to hit 1080p mark on both consoles, but it was “slightly tougher” for Xbox One to handle the game at native full HD resolution. He explained today that Lords of the Fallen is very close to its completion, and it has been already certified for launch in the US, so these resolution figures are final, and there will apparently be no more resolution bumps between now and release of the game. Lords of the Fallen is a next-gen exclusive title and it will be launched only for PC, PlayStation 4 and Xbox One on October 28, 2014. What do you think about the resolution of the game on the latest consoles, and console parity? Share your thoughts in the comments section below.